Home > Why This Film? In her emerald green sari and deep scarlet bindi the size of a half-dollar on her forehead, Vandana Shiva is an arresting presence as she stands before rapt audiences, galvanising international conferences, addressing the United Nations, deftly parrying the queries of television interviewers and news documentarians … or simply conversing with impoverished and beleaguered villagers in remote corners of the so-called “underdeveloped” world. Among those engaged with seed sovereignty, globalisation, organic farming, global warming, water rights, human rights, the patenting of life forms, and the corporate privatisation of nature, Vandana Shiva is an icon of a global movement. But even among those who pride themselves on being well-informed, she’s relatively unknown. Few are aware of how this daughter of a forest guard who patrolled the Himalayan foothills rose from obscurity to become a world leader of Gandhian stature. Hers is the remarkable and unlikely story of a girl who trekked from highland cabin to cabin alongside her father, tended a garden alongside her mother, and passionately pursued an education that freed her from the caste and gender constraints of traditional Indian society that culminated in a degree in Nuclear Physics, and a PhD in the Philosophy of Quantum Theory. But those achievements were merely a prelude to her awakening as a fully-committed activist. 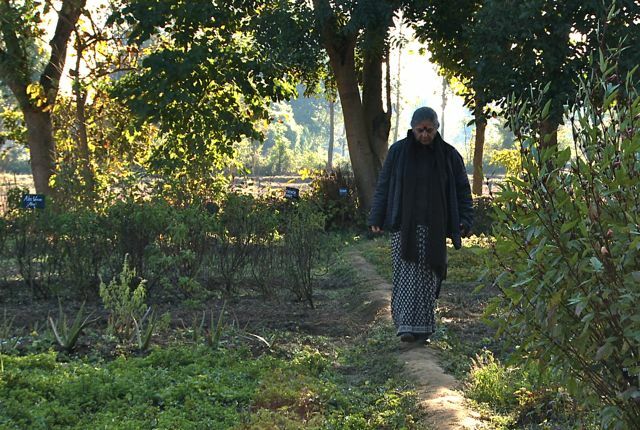 Vandana Shiva brought her scientific expertise and Gandhian principles of non-violent resistance to the struggles of poor Indian villagers whose livelihoods were being crushed by corporate capitalism. She has become a formidable opponent to those corporations whose rapacious privatization of water is drying up wells, whose callous disregard for the environment is poisoning the air and soil and water. Their predations in the name of a “green revolution” with its empty promises of wealth and freedom through patented genetically modified seeds are reducing traditional farmers and entire communities to inescapable servitude. In India, the fruits of the Green Revolution are an epidemic of rural suicides. This film focuses on the people, circumstances and seminal events in Vandana’s life–what shaped her thinking and defined her purpose. It also shows how the battle against multinational agribusiness has become an international struggle between two visions for feeding the world: The first, a multinational corporate model of chemically dependent monoculture that rewards privatization and a market-based imperative of profit and “growth.” And the other, “Earth Democracy,” that honors ecology, biodiversity, sustainability and community–what Dr. Shiva demonstrates is the only way forward for the future of food.